Diamonds are naturally expensive and more often than not, they represent a big investment for anyone. But if you are on a budget and perhaps feel that you could really use a price break, there are a few tips you can explore towards this. However, it is important to first of all understand some of the factors that determine diamond prices, how these factors affect the value, and how you can save some money without necessarily buying a low quality diamond. The universal way of pricing diamonds is by carats. This basically would mean that heavier diamonds would cost more than lighter ones. But that is not always going to happen and I will explain this in detail in a moment. What you need to understand about carats is that they offer the standard of pricing but they are not the only ones that matter. That is why you will see many diamond sellers insisting a lot on different categories of diamonds. In each category, the price per carat will differ. However leading diamond dealers such as Galeries Du Diamant have done well to harmonize prices in line with people’s needs and it’s so easy to get amazing price breaks at the store. Bigger diamond commands higher price, find the perfect balance that works for you! The Rapaport price list is the major source of diamond pricing information. Although it does not explicitly tell you how much a diamond will cost, it actually gives you a hint as to how much you can expect per carat. The price list is published every Thursday online and pretty much provides the foundation of diamond prices in the entire industry. So how does the price list work? Well, the Rapaport price list incorporates all the key attributes of given diamonds - the color, the cut, the carats and the clarity. Each diamond price quote is determined by the color, clarity and cut range that they fall into. This is why you will find some categories costing more per carats than others. Rapport Diamond Report is the professional tool to establish diamond prices and primary source of diamond market information. 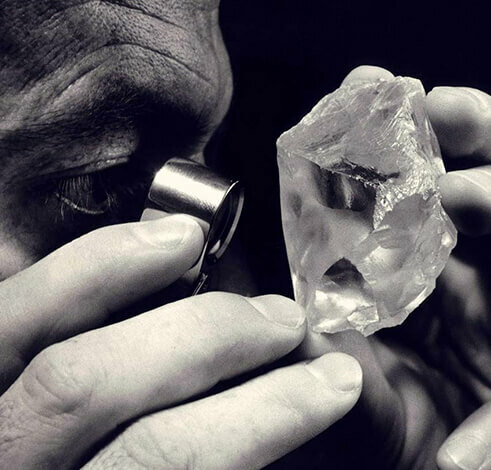 Although the Rapaport price list is definitely a big foundation in diamond prices, it has a number of limitations. To start with, it’s very difficult for an ordinary person to read the list and understand what it means. After all, many difficult concepts regarding diamonds such as color and clarity are used in the pricing. These concepts may not be easily understandable for the ordinary person. There is also the issue of fluctuations. While the price list is a base for how diamonds will sell, it does not actually mean that prices will always reflect what is in the list. Sometimes dealers may decide to sell at a lower price and other cases they may decide to sell at a higher price. The rules of demand and supply apply here. In that case, if a diamond is relatively rare and its demand is high then the price might be also higher. The reverse will also apply if the diamond is readily available and demand is relatively low. Sometimes dealers may also extend special discounts for diamond related products and this may affect the overall pricing. Don’t just focus on the diamond prices per carat. Do not pay a price you are not comfortable with. If you feel your gut telling you something about the deal, sleep over it at least and see what you think in the morning. Always buy from dealers who have a favorable return policy. I say this because it’s easy to buy a diamond and later to realize you actually wanted something different. A dealer that offers a good return policy will certainly not complicate things. What diamond price is the right price? In case you are tight on cash and are looking at diamond prices, then perhaps you should stick around a little longer and explore the tips am going to share as I conclude the post. For diamonds I always feel that quality is really important and if you can’t match the asking price then it’s better to just buy something lighter and relatively cheaper. 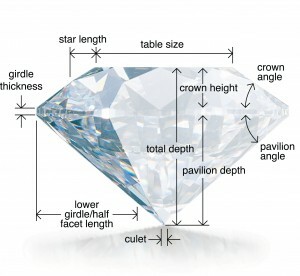 Most of the time, the color, the cut, the clarity are the three factors that greatly influence the quality of the diamond. Although to be fair you will still want something heavier when it comes to the carats, it is something you can flexibly compromise on without any danger of losing the quality of diamond you want. In light of this, it is best to remain flexible with regards to the carats. After all, a lighter well cut diamond, with good color quality and nice clarity will have almost the same effect as a heavy one that shares the same attributes. But as I always like to say, a diamond is more of an investment and you can never go wrong with it. If you can just raise the money you need for a quality diamond then you should go for it. You will be glad that you did. 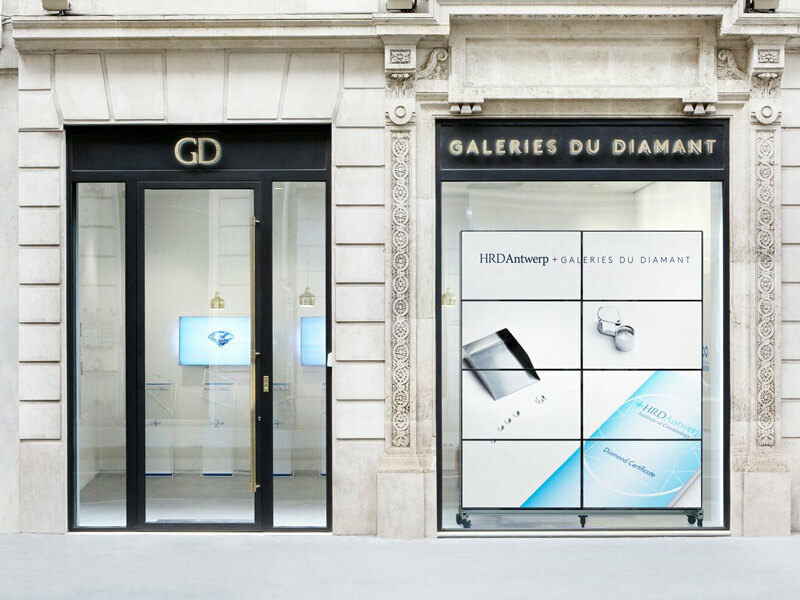 Besides, GD ‘s flagship store in Paris has always offered great deals and for people on a budget, you can rest assured that you can get a quality and affordable diamond engagement ring that meets your needs. Diamond prices change every now and then and the discounts offered by different dealers will have an effect of how much you ultimately pay. But remember that the rare diamonds are often on high demand and will cost more. In addition to this, comparing costs and understanding how different dealers are selling different diamonds can be a good eye opener as to how much you need. You can also visit GD Paris anytime to check our great diamond prices and get quality engagement rings in three simple steps. Come visit our Paris store and learn everything you need to know about diamond prices.